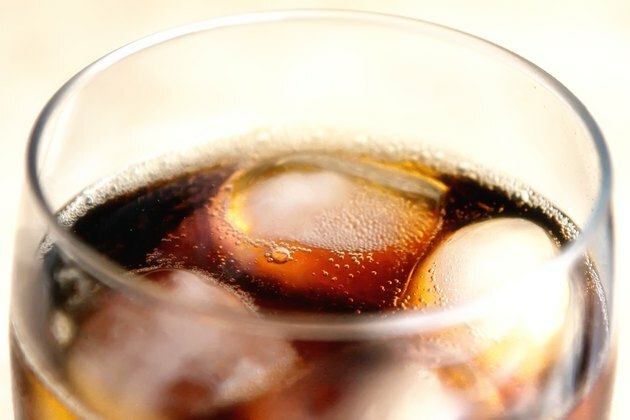 If you're not a fan of rum's strong flavor, mix it with cola to create a sweet, flavorful beverage that's easy to drink. If you're concerned about the sugar and calories of Coca Cola, you can combine your chosen flavor of Captain Morgan with Diet Coke. The exact number of calories in your Captain Morgan and Diet Coke depends on the variety of rum you choose. Diet Coke does not have any calories, regardless of the amount you add to your rum and cola drink. The calories you consume in the beverage are entirely from the variety of Captain Morgan rum you choose. A 1.5-ounce serving of Captain Morgan Original Spiced Rum has 86 calories, while the Captain Morgan Caribbean White variety contains 98 calories per 1.5-ounce serving. The 100 Proof line, which contains the highest alcohol by volume percentage of any Captain Morgan product, has 122 calories per serving. How Many Calories Are in Vodka & Lemonade?